Excuse my blogging absence the last few weeks, I've been caught in a whirlwind of multi-family-Christmas' and holiday celebrations. I'll be easing back into the bloggery this month, starting with some exciting Friday the 13th ideas (this week!) and Chinese New Year inspirations before all the icky February Valentine's buzz hits the air. often said in place of "Happy New Year!" Get it here! Etsy shop The Offbeat Bear from Vancouver, BC has a charming collection of felted cuteness. 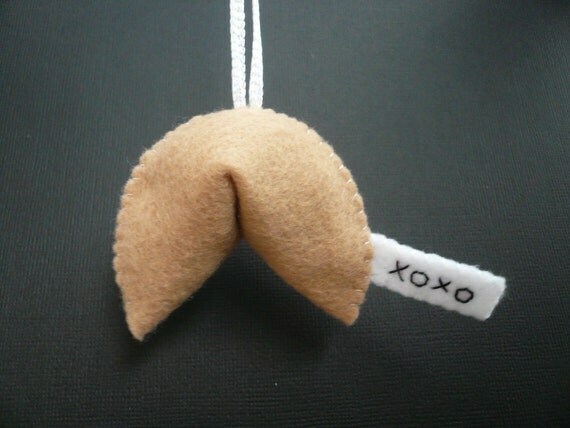 I absolutely love the idea of a felt fortune cookie. 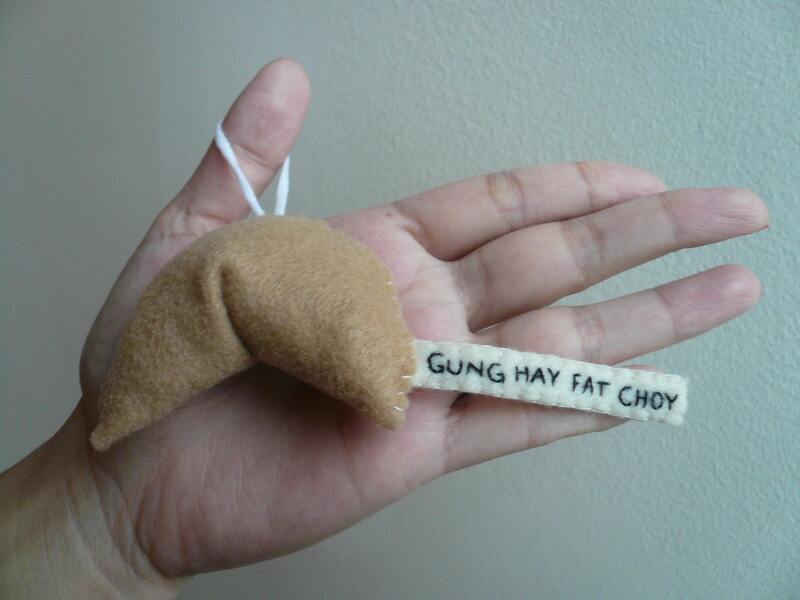 I can think of a gazillion ideas for custom messages for my loved ones' Chinese New Year! For my nephew, specifically: "Confucius say... don't pick your nose!" Another for V-day. Get it here! What's got you jazzed for January?? Leave a comment to share! !